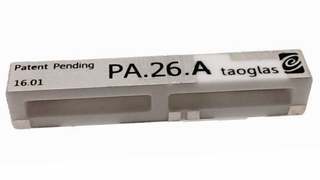 The PA.26A is an SMT LTE 4G antenna designed for direct SMT mount on the device PCB. It provides highest efficiency in the smallest form SMT form factor, 35*5*6mm. Due to its rectangular shape and compact size the PA.26A is very easy to integrate and can be mounted directly on the edge of the PCB. Matching is accomplished using a pi network. Using SMT (On-Board) antennas saves on labor, cable, and connector costs. SMT antennas also lead to higher integration yield rates, higher transmit power and higher sensitivity.